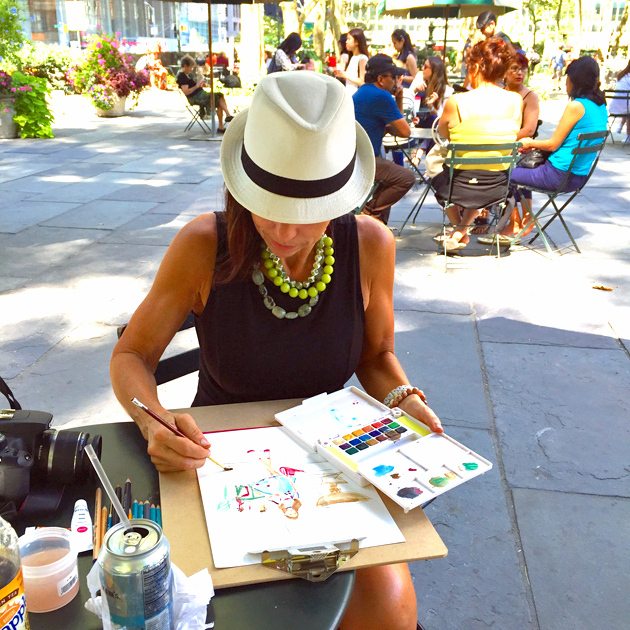 What a great weekend I had as I celebrated the last weekend of the summer by packing up my paints and pencils and hitting some of my favorite Manhattan locations for some “en plein air” watercolor painting! 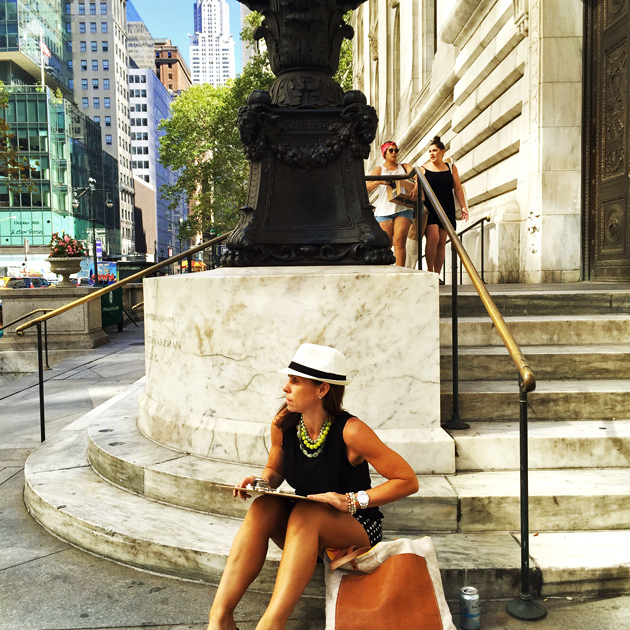 First I set up in Bryant Park where I snagged a convenient table and chairs….. 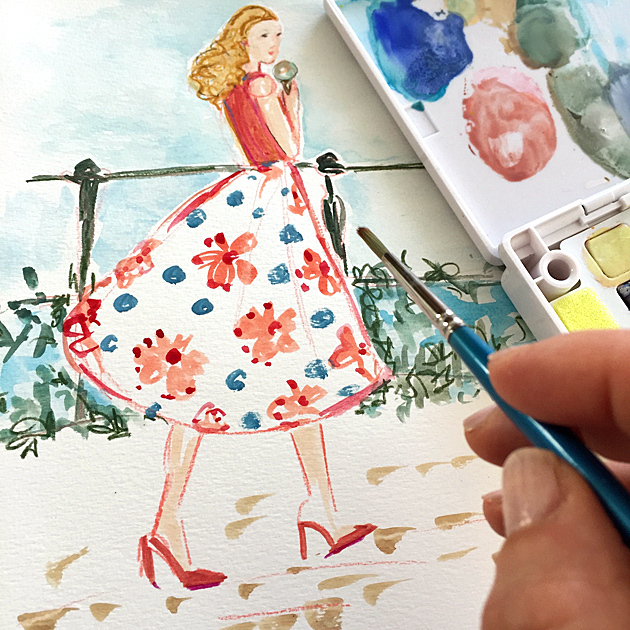 I sketched a young lady by the fountain and just let it go when her ruby red purse smeared because that’s what painting “en plein air” is all about! 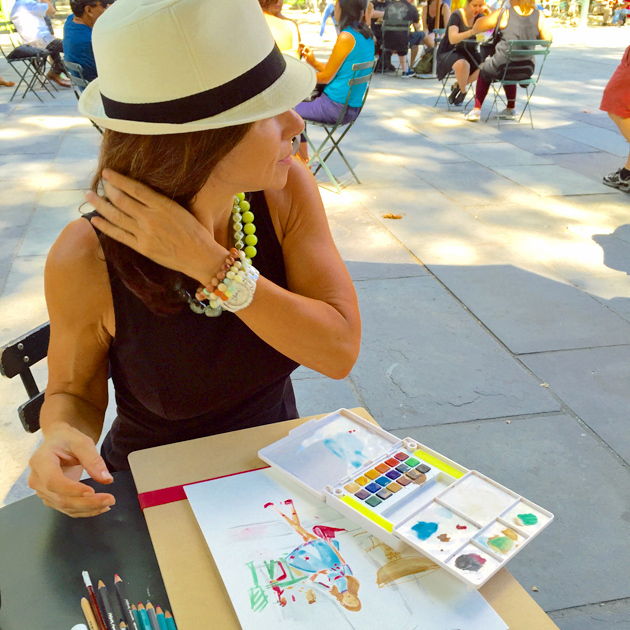 I wore lots of Artist Chic bracelets and even a chunky Artist Chic Necklace for inspiration! 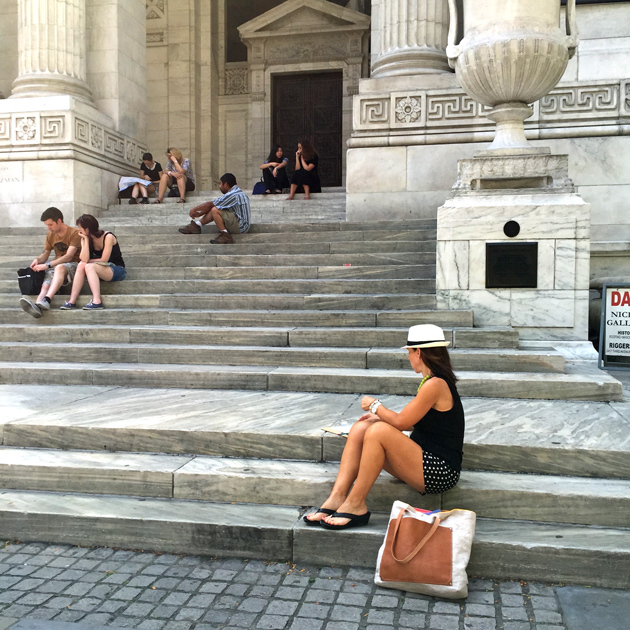 Then I made my way around the corner to one of my favorite buildings in the city….The New York Public Library! I can’t resist reminiscing about one of my all time favorite movies when I approach this authoritative building: Ghostbusters!!! What a classic New York movie!! Brings me back to the 80’s……. 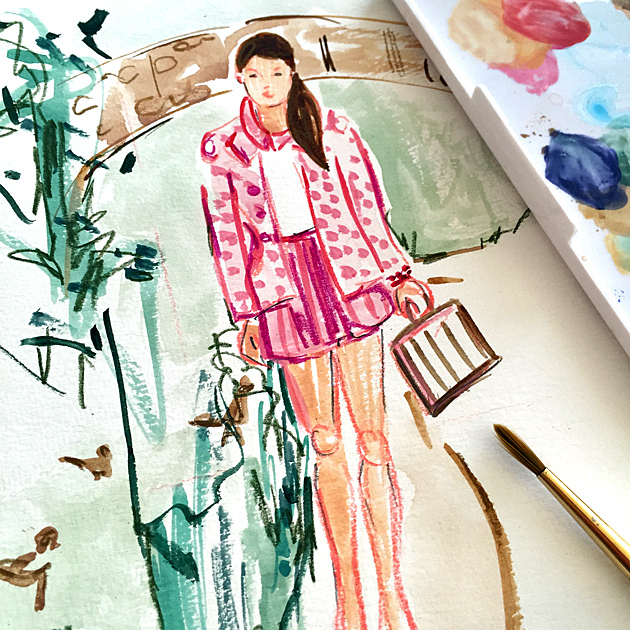 On Monday I headed to Central Park and found a perfect bench which served as a pristine vantage point from which to paint my two loves: nature and fashion…I painted a beautiful brunette strolling past a family of ducks…. 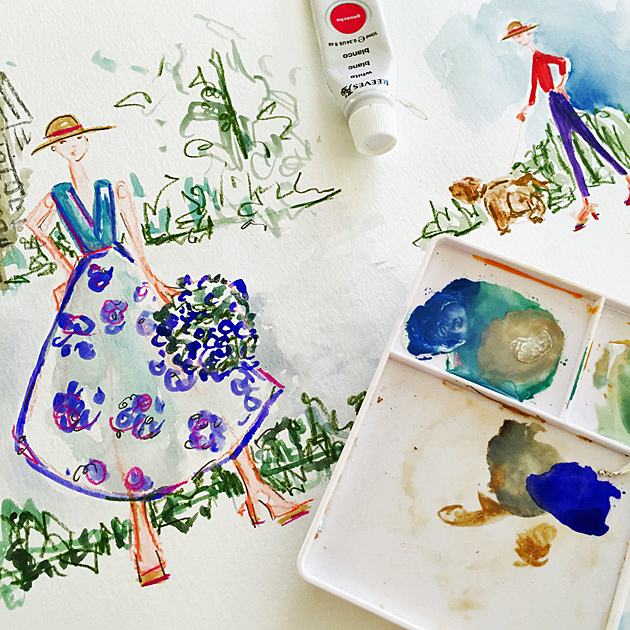 And a variety of lovely characters in all sorts of straw hats and late summer attire heading to afternoon picnics or strolling with their dogs…. My Artist Chic Weekend was the perfect antidote to a busy work schedule and the demands for my time (real or imagined) that seem to rule me! I fell into bed last night as relaxed as a bowl of jello and yet somehow energized for the week ahead…. 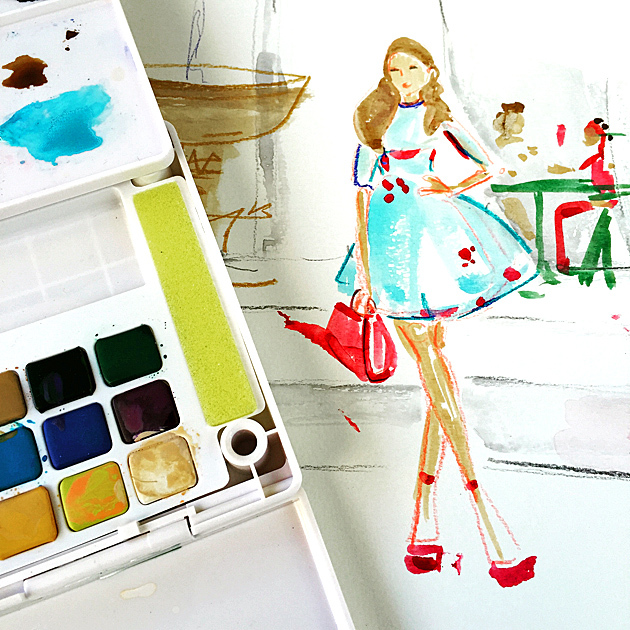 There is so much in life we can’t control, so much information constantly bombarding us, so much technology to stay on top of……I truly treasure my low tech passion for watercolor painting which enables me to find peace, harmony and order in the middle of the busiest city on the planet! Do you have a hobby? A quiet passion? An interest in something that keeps beckoning you to try? What are you waiting for?